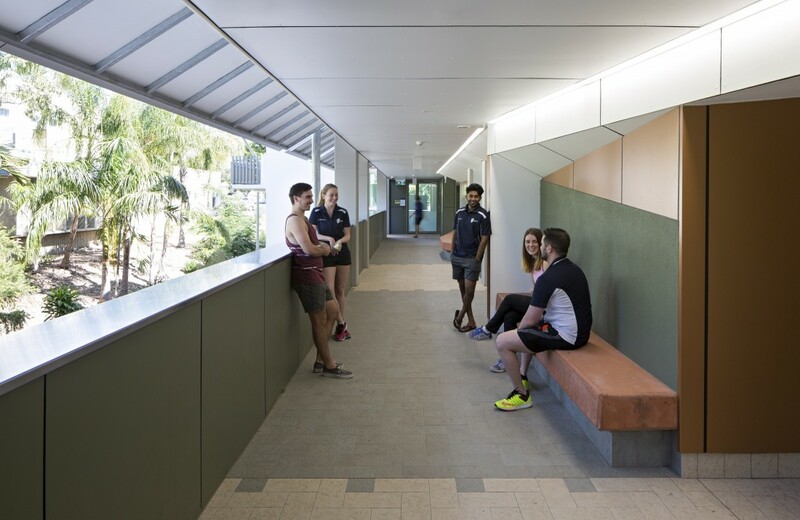 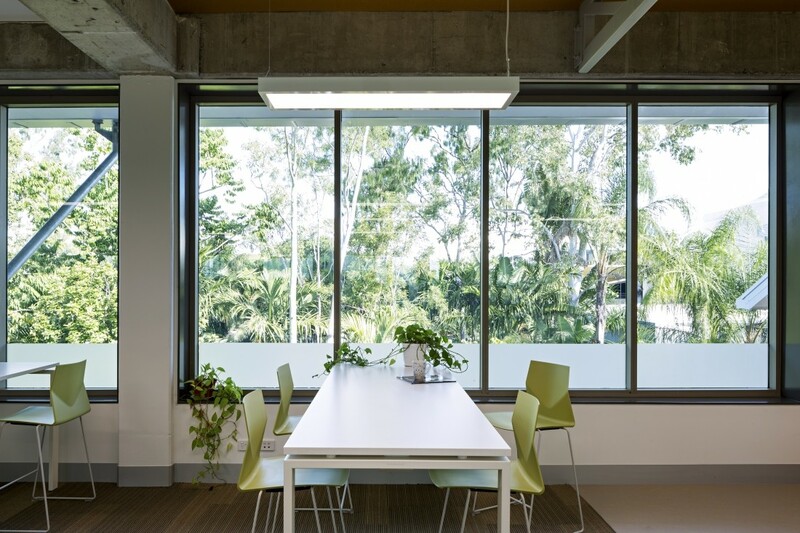 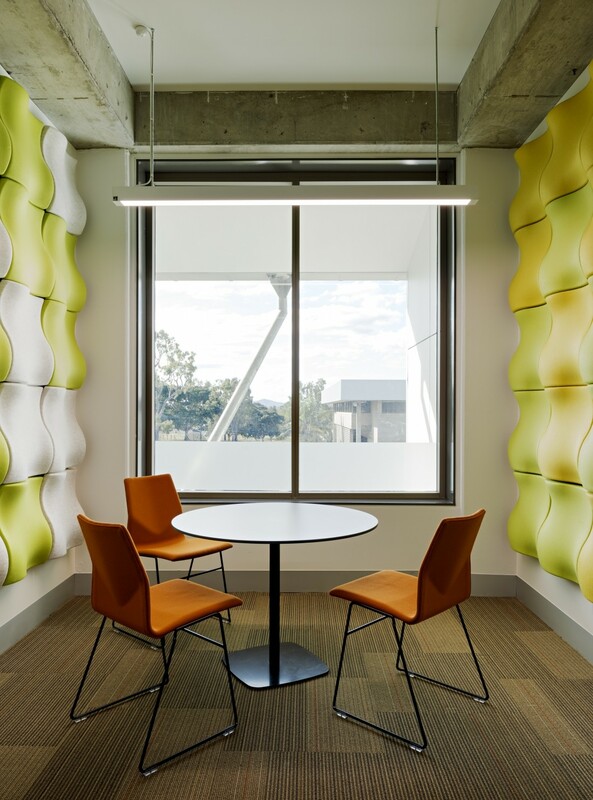 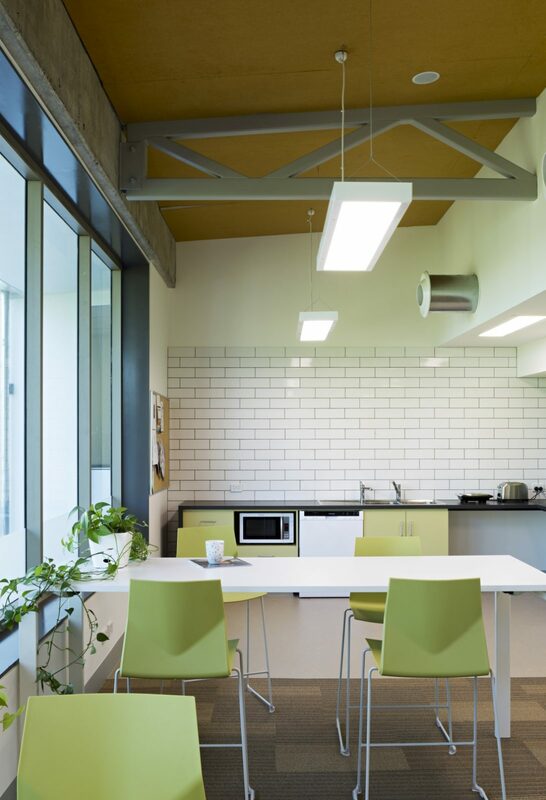 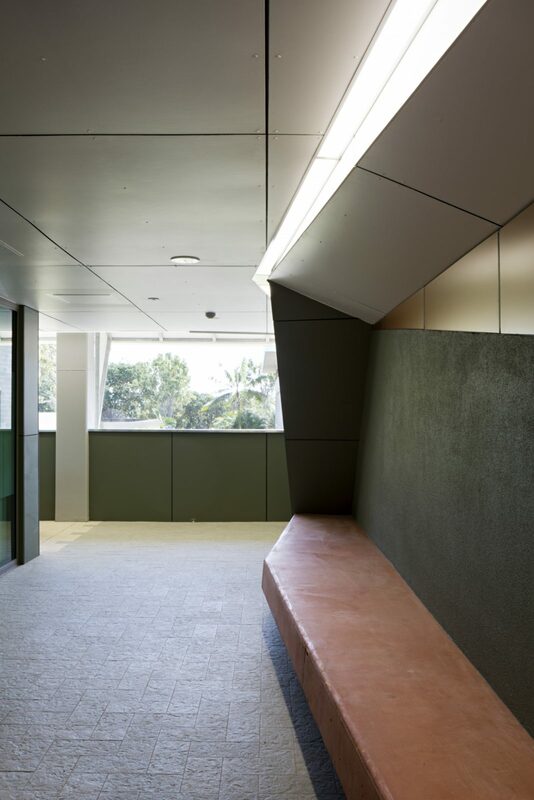 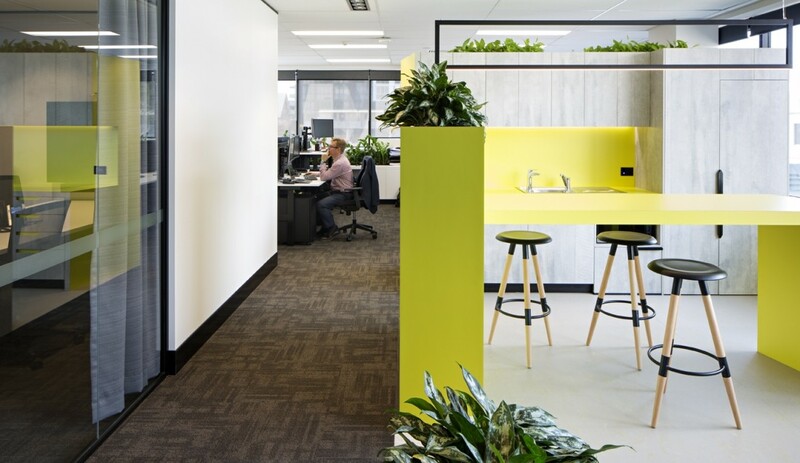 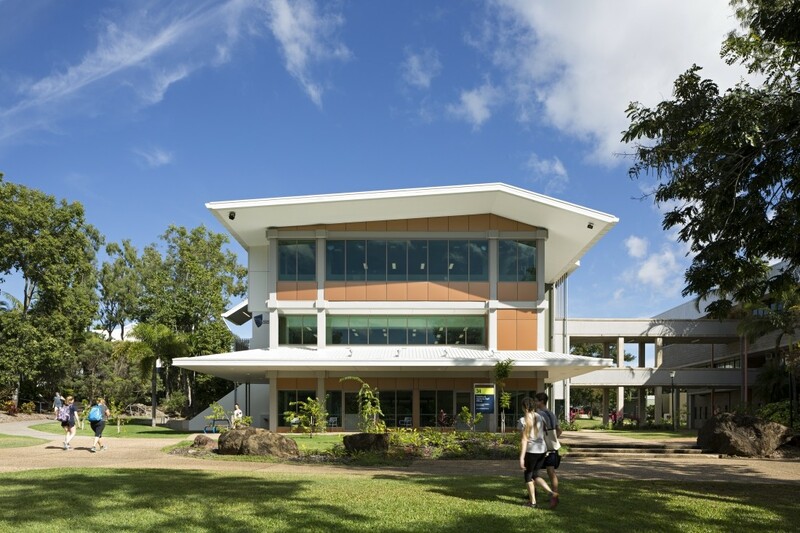 This significant refurbishment to an existing building at Central Queensland University’s Rockhampton campus provides spaces for the delivery of key Allied Health programs as well as contemporary flexible learning areas and academic offices. 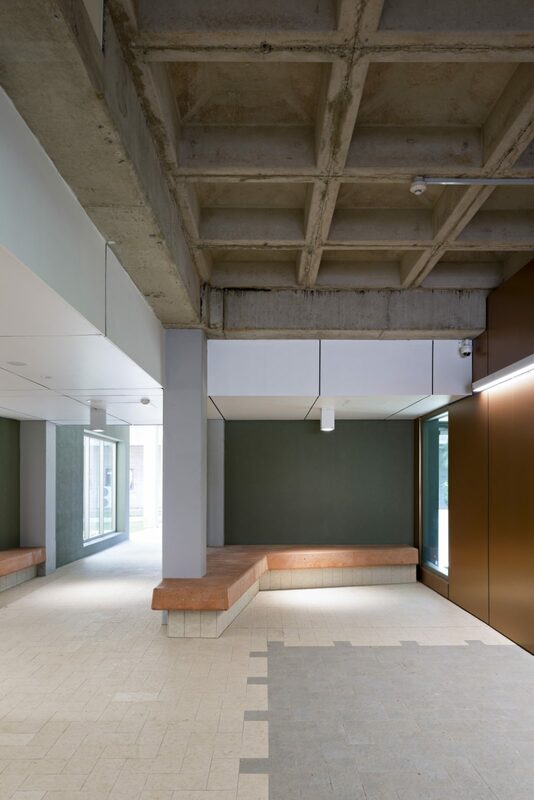 The existing robust concrete structure has been retained with the addition of more climatically appropriate devices such as lightweight infill, awnings, screens, deep eaves, balconies, naturally ventilated circulation and breakout areas. 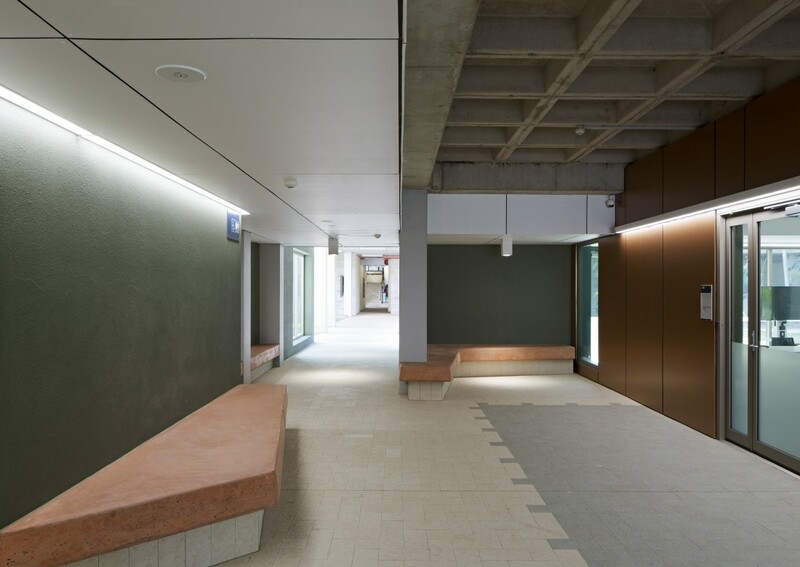 The outcome converts an ageing brutalist artefact into a facility that reflects the hallmarks of subtropical modernism and the local vernacular. 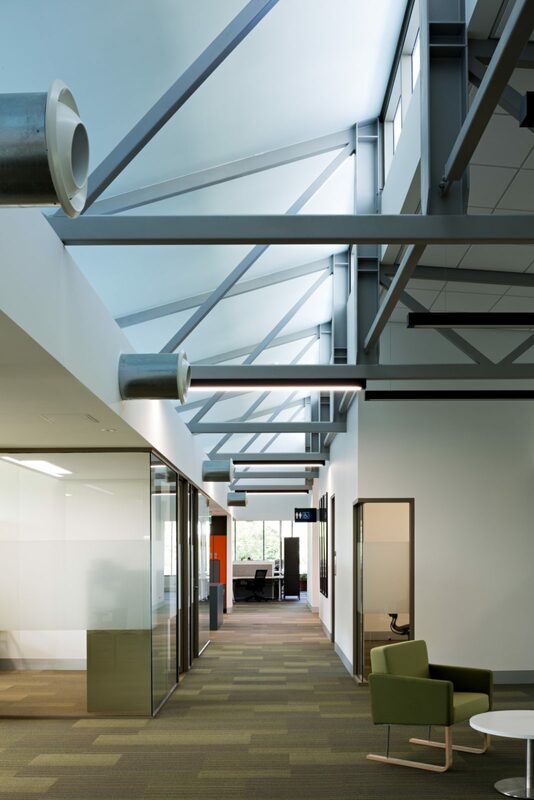 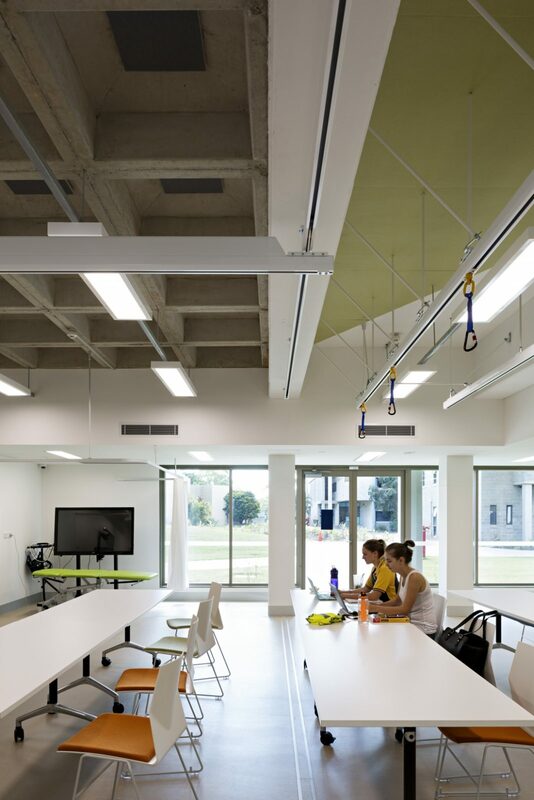 Transparency is a key feature of the refurbished building, allowing views into functional spaces as a more appropriate response to the collegiate and civic possibilities of a public, learning facility such as this. 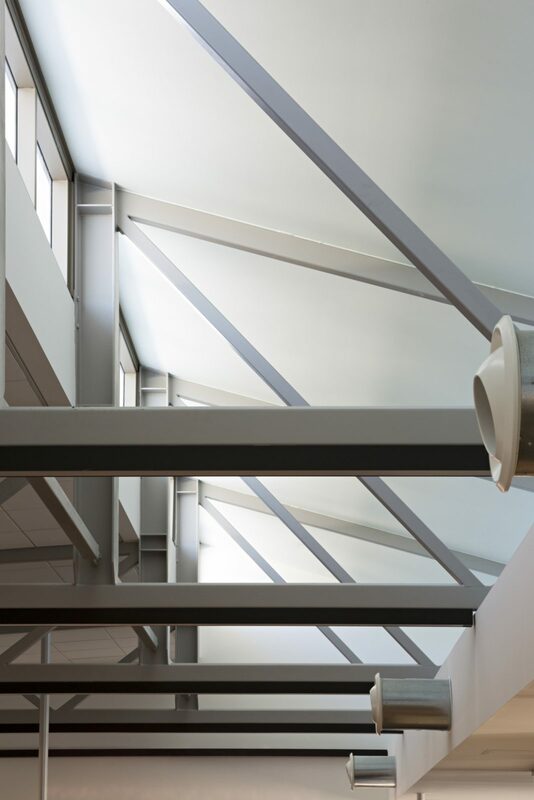 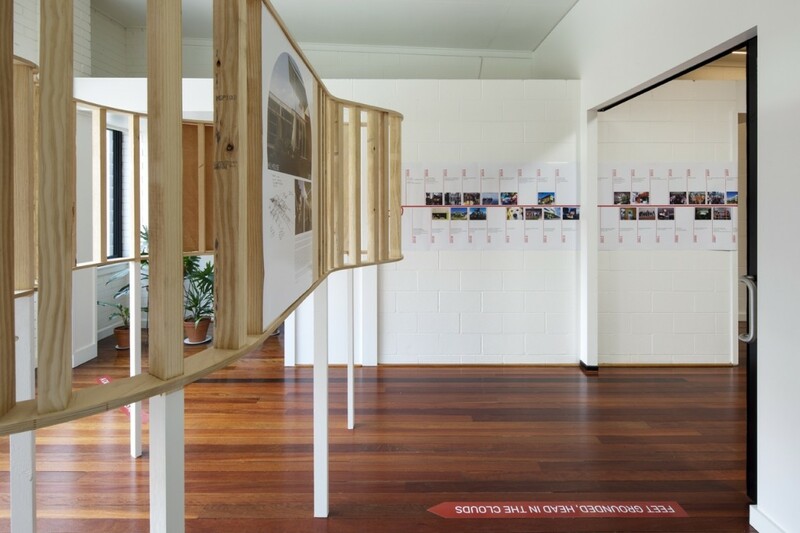 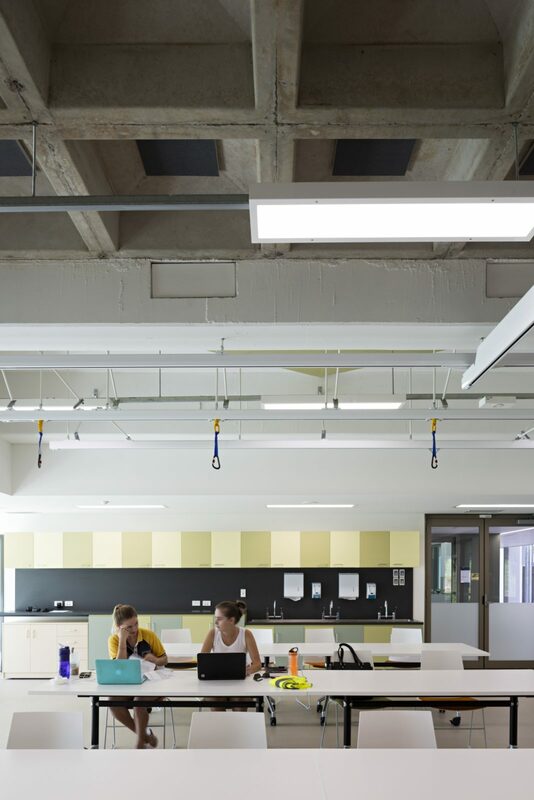 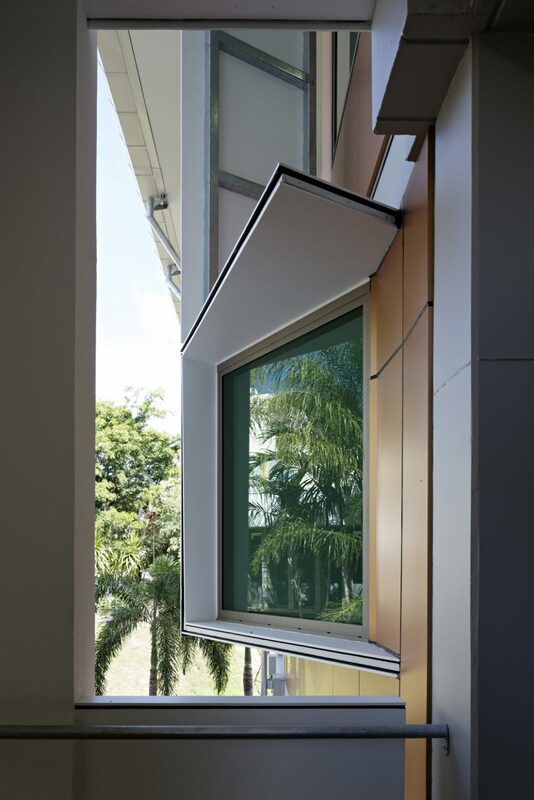 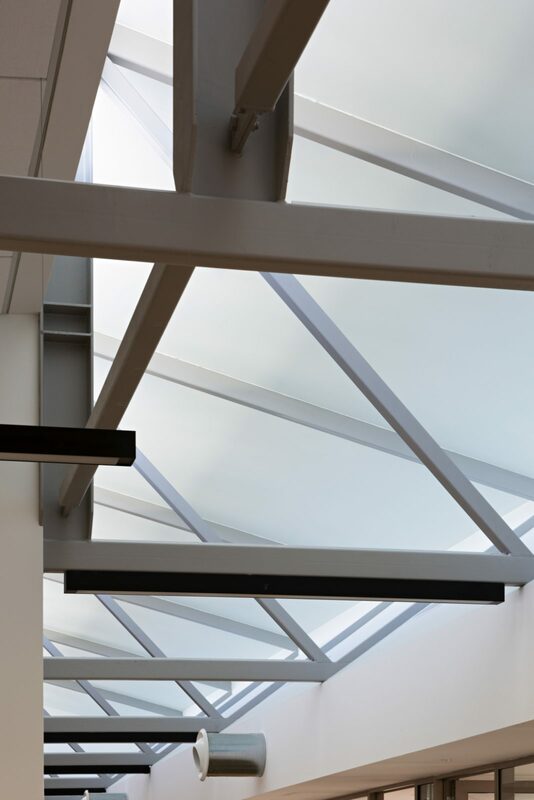 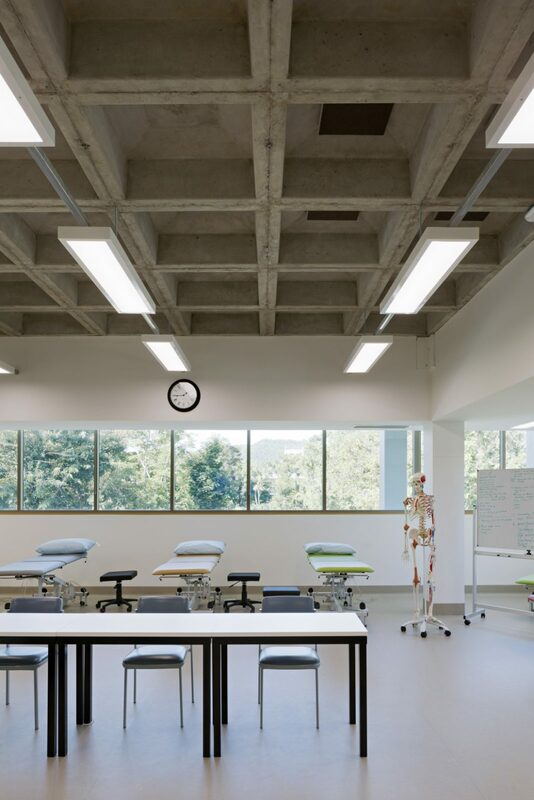 Oblique views between internal and external spaces enhance opportunities for informal learning through fostering interest and curiosity about the facets of Allied Health. 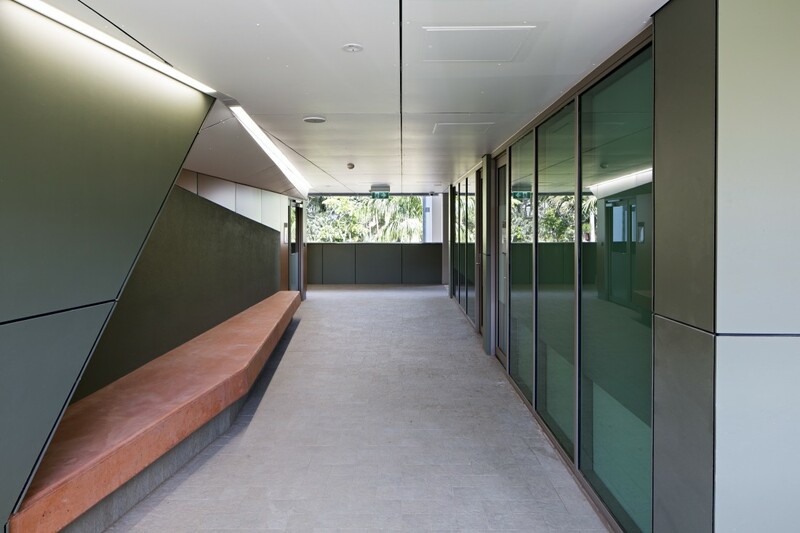 Abundant glazing strengthens the impact and powerful ordering device of the existing structural grid and connections to and from the natural landscape, arguably the campus’ greatest asset. 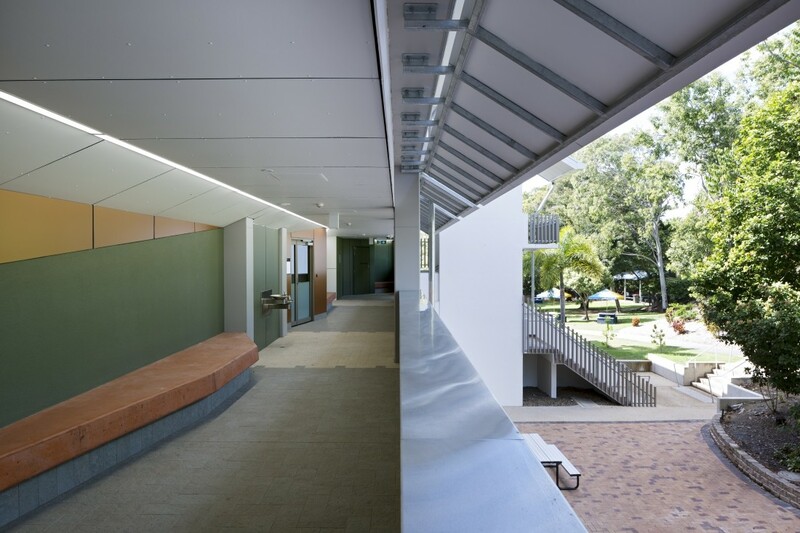 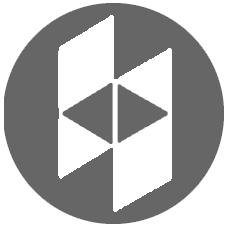 Internally the spaces reflect both current learning pedagogies and contemporary workplace design thinking. 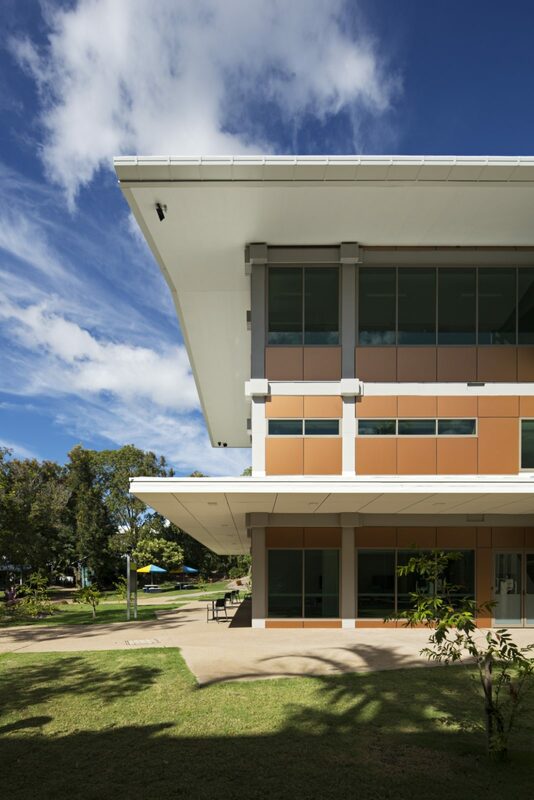 Externally the building is bold, ambitious and institutional in character, providing a landmark that differentiates itself amongst the campus’ existing building stock. 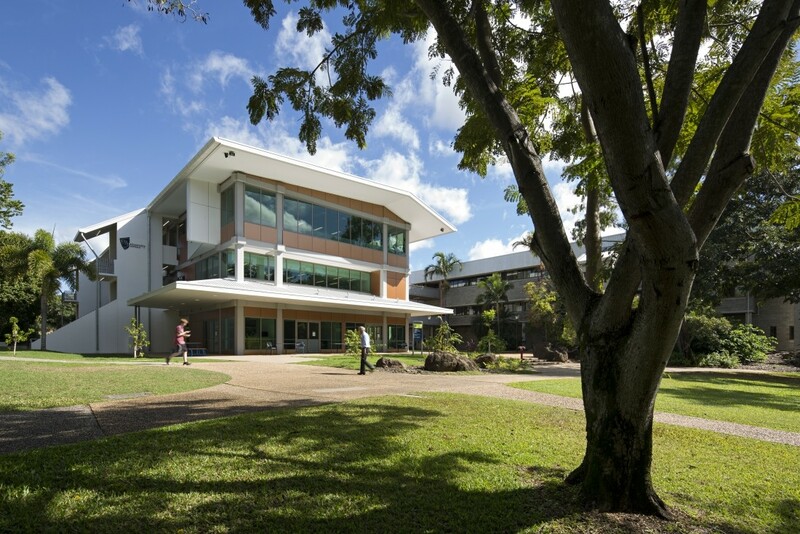 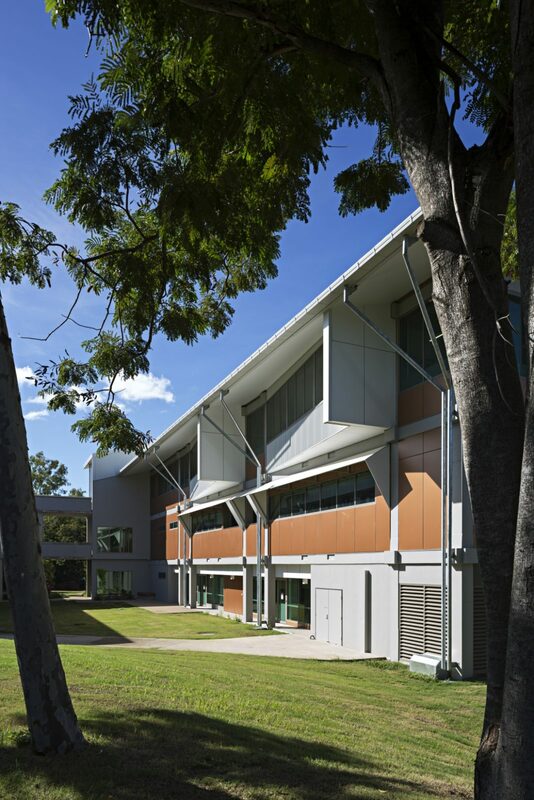 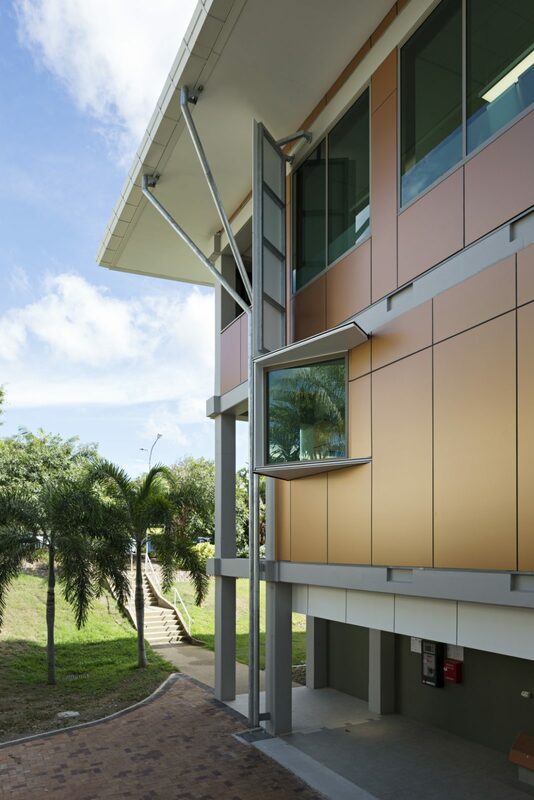 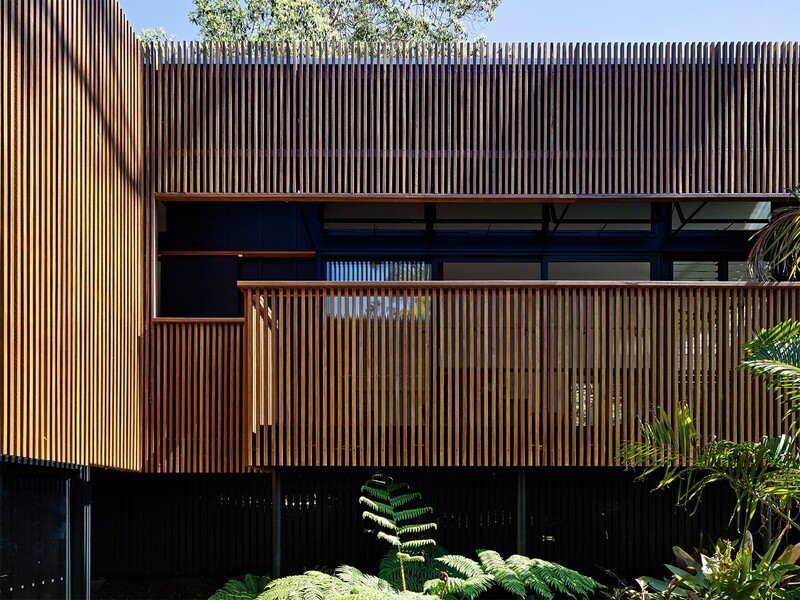 Reddog Architects has worked on several stages of work at CQUniversity. 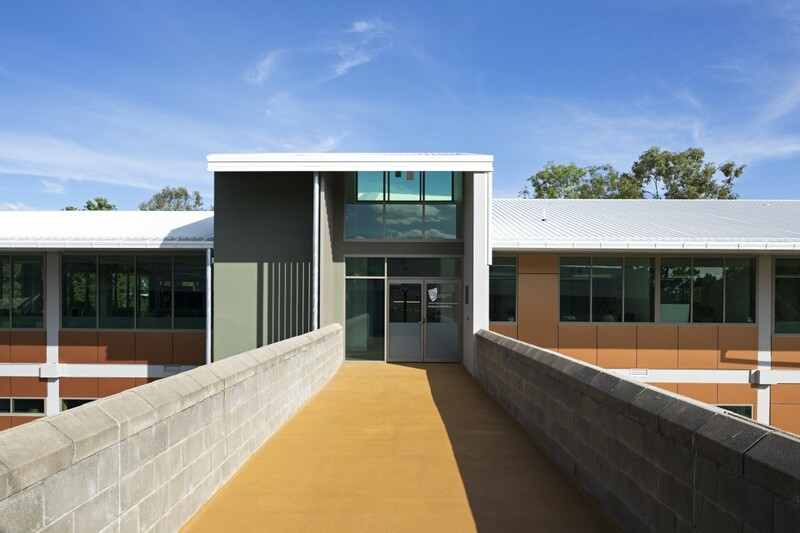 Take a look at CQU Small Health Clinic and CQU Allied Health Stage 2.